JFK's iconic speech inspired by ex-headmaster? HARTFORD, Connecticut - A document discovered at the boarding school attended by John F. Kennedy bolsters a theory that a former headmaster provided inspiration for his famous line, "Ask not what your country can do for you  ask what you can do for your country," a school archivist said Thursday. Kennedy, who sat through the chapel sermons as a teenager in the 1930s, used similar language when he called the nation to service in his 1961 inauguration address. For years after that speech, other alumni of the school in Wallingford, Connecticut said they heard an echo of headmaster George St. John's sermons in Kennedy's address. But archivist Judy Donald at the school now known as Choate Rosemary Hall said they did not have any evidence until she found the quotation three years ago on the first page of one of his notebooks. "When we found these prose books, we felt OK, here's the link we were missing," Donald said. The document's discovery was reported first in a new book by television host Chris Matthews. Historians have debated how much credit for the legendary speech belongs to presidential adviser Theodore Sorenson versus Kennedy. In a 2004 book on the inaugural, "Ask Not," author Thurston Clarke concludes that Kennedy is the author and explores the connection to Choate, saying the headmaster used to say it's "not what Choate does for you, but what you can do for Choate." But one JFK biographer, Michael O'Brien, said he was skeptical any headmaster's sermon would have made an impression on Kennedy. 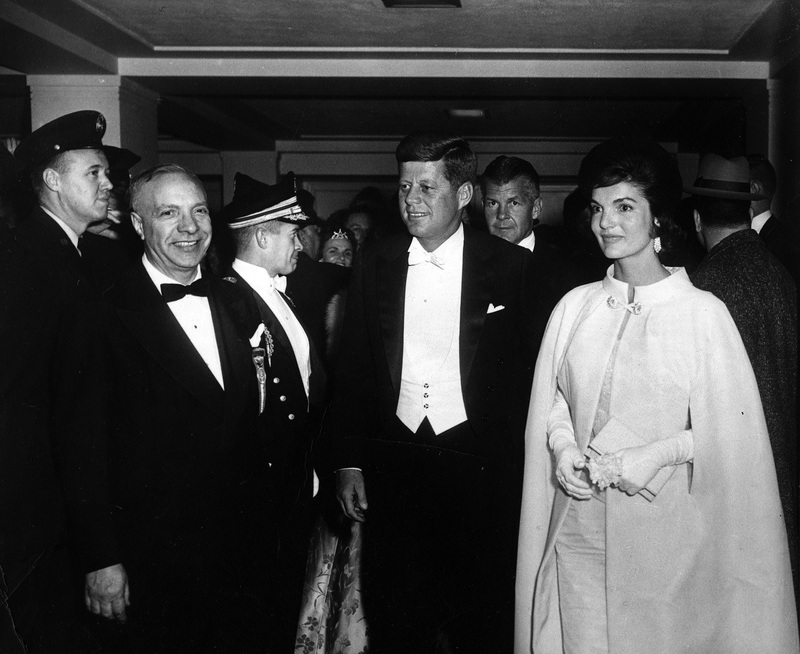 As a teenager, he said, Kennedy was more focused on making plans with friends. "I don't think he would have been paying attention to anything like that," said O'Brien, an emeritus professor of history at University of Wisconsin-Fox Valley and the author of "Rethinking Kennedy: An Interpretive Biography." The connection to Kennedy has always been a source of pride for Choate, as has the possible connection to his inaugural address for those who knew about it, according to Donald. She noted that a bust of Kennedy in the administration building is adorned with the "ask not" quote from the speech. The quotation found in the notebook is an excerpt from an essay by Dean LeBaron Briggs of Harvard University, where St. John graduated in 1902. Choate officials say St. John knew Briggs well and often used his words as inspiration for his sermons. Before the document came to light, Donald said she had searched through 40 years' worth of sermons by St. George for the language described by so many graduates. After coming up short, she hired someone else to do it in case she missed something. She described the eventual discovery of the quotation in a long-lost notebook as a "eureka" moment. "As often happens in archives, things were hiding in plain sight," she said.